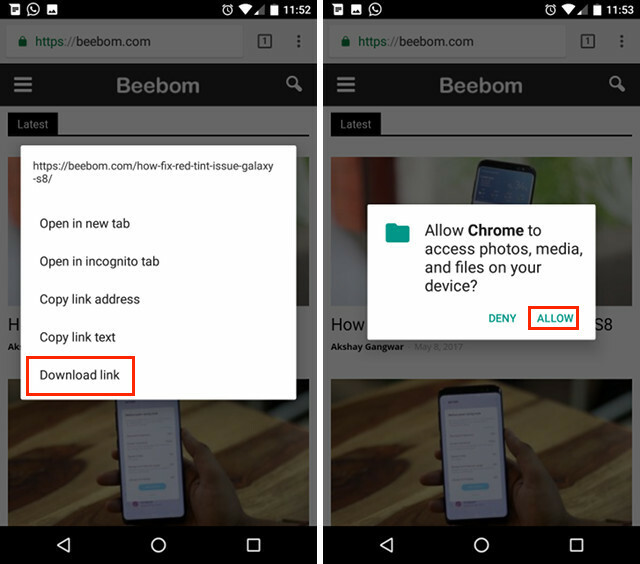 Launch Chrome, and find the link for the webpage you want to download. 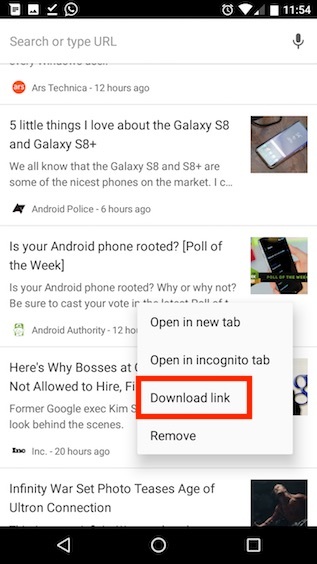 Long press on the link, and in the context menu that pops up, you’ll see an option that says “Download Link“. Tap on this icon. 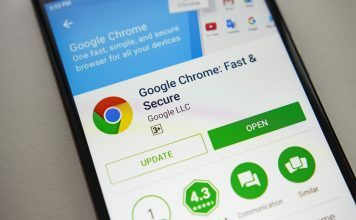 Chrome may ask you for storage permissions if you’ve not downloaded files using Chrome before. 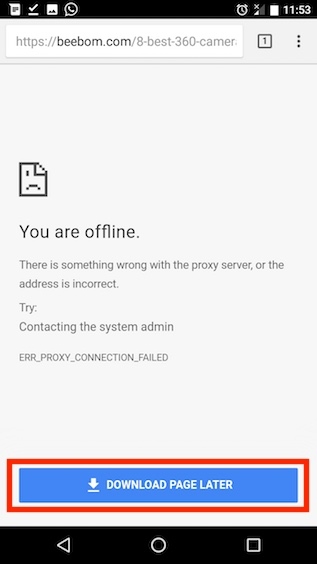 If you run into the “You’re offline” error page, or the Chrome dinosaur page while navigating to a webpage, you’ll see a button that reads “Download Page Later“. 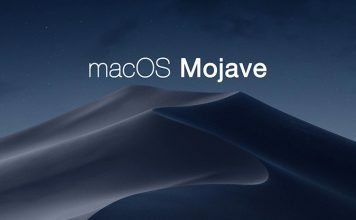 You can tap on this, and Chrome will queue the webpage to be downloaded the next time you have a working internet connection. 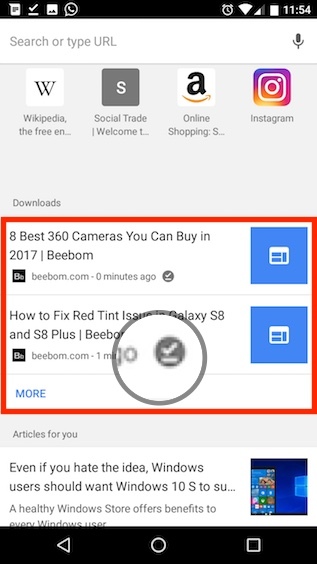 Downloading webpages for viewing later also works for the Article Suggestions that show up on the “New Tab” page in Chrome. So, you can save all the articles that you want to read later (or maybe on a flight), and then read them while staying offline. 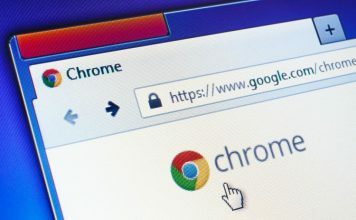 Chrome also ensures that you can access your saved webpages easily, and you’ll be able to see all of the pages you’ve saved, in the “New Tab” page in Chrome, with a special badge to mark them as downloaded. You can simply tap on these downloaded webpages and view them at your leisure. 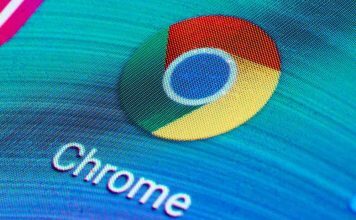 Chrome brings a very easy to use method for saving webpages for offline viewing, or just reading at a later time. The way that Chrome handles this is quite a bit different from the way apps like Pocket saves links. 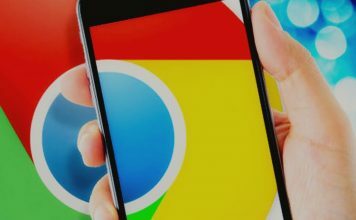 Most offline reading apps just save the text of the website for reading later, however, Chrome’s native feature saves the entire webpage instead, and always keeps a list of webpages ready for you, even when you’re offline. So, will you be uninstalling apps like Pocket, now that Chrome has the functionality natively, and with a lot more capability? Do share your thoughts in the comments section below.